Welcome Our New Athletic Trainer! | Advanced Chiropractic & Rehab, Inc. Welcome Our New Athletic Trainer! | Advanced Chiropractic & Rehab, Inc.
Boardman, Ohio – Advanced Chiropractic & Rehab is pleased to announce its recent hire of Jason Day, who will join the Advanced Chiropractic team as an athletic trainer treating patients at our Boardman office located at 755 Boardman-Canfield Road, Building P. With the addition of Jason Day, Advanced Chiropractic will be better able to provide patients with athletic training and corrective exercise expertise. Jason will provide Advanced Chiropractic’s patients with exercise and physical therapy that will assist them in pain relief and improved physical well-being as part of their treatment plan. Jason will also be assisting patients with Workers’ Compensation and Work Conditioning rehabilitation programs. 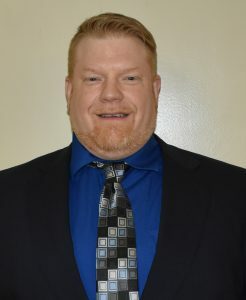 Jason was raised in Glendale Heights, Illinois and graduated from Glenbard East High School before attending Olivet Nazarene University for his undergraduate studies. He then attended California University of Pennsylvania for his Master’s degree in Exercise Science and Health Promotion. Jason holds a number of certifications including Certified Strength and Condition Specialist (CSCS), Certified Personal Training, NASM-Corrective Exercise Specialist, Athletic Training Certification, TRX Sports Medicine, Key Method Functional Capacity Evaluation, Stress Management, Pilates, and Workers’ Compensation Rehabilitation certification. “We are excited to have Jason join the Advanced Chiropractic team as our Athletic Trainer. Jason will allow us to provide our patients with an even wider range of treatments and services to help seek out the most effective option for our patients.”, said Doctor Michael Lyons of Advanced Chiropractic & Rehab. Hours at the Boardman location are 9 AM – 6 PM on Monday, Wednesday, and Friday and 9 AM – 1 PM on Tuesday and Thursday. Advanced Chiropractic also has locations at 730 North Main Street in Hubbard, Ohio (Monday 9 AM – 1 PM, Tuesday 9 AM – 6 PM, and Thursday 9 AM – 6 PM) and 8231 Main Street in Kinsman, Ohio (Tuesday 2 PM – 6 PM and Friday 2 PM – 6 PM). Patients can schedule an appointment for any Advanced Chiropractic location by calling (330) 726-7404 or by visiting the Advanced Chiropractic website at www.AdvChiro.com. Advanced Chiropractic & Rehab has been servicing the Mahoning Valley area since 2001 with convenient locations in Boardman, Hubbard, and now Kinsman. Advanced Chiropractic & Rehab are a multi-disciplinary rehabilitation group that treats work comp injuries, whiplash, sports injuries and specializes in much more than just low back pain. The mission of the staff at Advanced Chiropractic & Rehab is to provide high quality healthcare and education to members of the Mahoning Valley community in a caring and comfortable environment. Advanced Chiropractic’s goals are to seek out the most effective and affordable Chiropractic healthcare options that not only alleviate pain and patient’s concerns, but inspire and educate people to become active participants in their own well-being.